With Memorial Day Weekend now in our wake (SO SAD), we’re cruising into summer wedding season - and if you’re anything like me, your social calendar is booked with bridal showers, bachelorette parties, rehearsal dinners, weddings, all the things, from now through the end of fall. I have three huge weddings happening from October through January, so almost every weekend is packed with some pre-wedding party. That being said, just because it’s wedding season, doesn’t mean that people stop getting engaged. ((we’d even argue that wedding season is a hugeeee aphrodisiac, or a big kick in the a** for anyone who’s been given an ultimatum from their S.O. “if I don’t have a ring on my finger by the next wedding we go to…..” --- WE DON’T RECOMMEND THAT, OBVI)). So, engagement parties are big right now too! And we’re all about a summer siesta to mark the end of singlehood for two of our nearest and dearest. It’s the bride’s first opportunity to wear white, a great setting for a groom to ask his boys to be a part of his side of the bridal party - over whisky and a cigar or two, maybe - and the perfect place for the couple to kick off their road to the altar. And if you’re one of their besties, then you might want to think about an engagement gift to celebrate the occasion. Of course, it’s not mandatory to gift the newly-engaged, but we’d suggest it. If only to show your friends (or however the couple is associated with you) that you are super psyched they’re taking the plunge, and promise to be there for them through it all! There’s no price cap - minimum or maximum. Don’t freak out over how much you think you should spend on the soulmates. This truly is an ‘it’s the thought that counts’ situation. 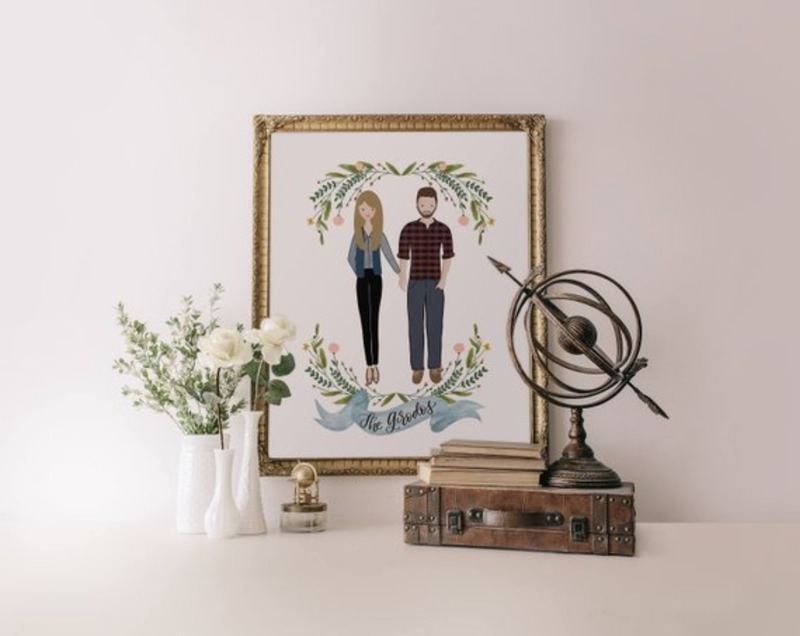 So, even just a cute card (Papyrus or Paper Source are your go-to’s, really) with an adorable inscription and maybe even a photo you snapped of the couple wayyyy back when inside makes a great gift. Use the registry as a solid place to start. If the couple is having a short-ish engagement, they might have gotten a head start on their wedding wish list - my cousin just got engaged last month, but will be getting married by January - so she and her fiancé already got their registry in the works. If you’re struggling for an idea, or maybe don’t know the couple SUPERRRR well (but your partner does, and you’re along for the ride), then use the registry as a guide. And select from one of their lesser expensive tiers - leave the big ticket items for the bridal shower. The more personal, the better. I’ve always been one to appreciate the ‘bride starter kit’ kind of gift for my friends, coworkers, etc. who just got engaged. Bridal magazines, a wedding planning book, a soon-to-be-Mrs. Mug, a list of personally-vetted+loved on Instagram vendors that I think fit their vibe. But I found the sweetest engagement gift for my sister’s engagement party last summer on Etsy. And it was smittenly special. Every bride loves a present that is perfectly-picked for her…. It doesn’t have to go to the party with you. Just like our reasons for not bringing a gift to the wedding, you shouldn’t feel pressure to bring a gift to the e-party. From your house to the party venue, anything can get lost. But also, if you’re feeling like you want to get something more experiential for the soon-to-be weds, then you can send something (like a gift card for a couple’s massage, or a mixology course for your cocktail-loving lushes /// YAAAAS) ahead of time or even afterwards. Don’t just get a gift to get a gift. 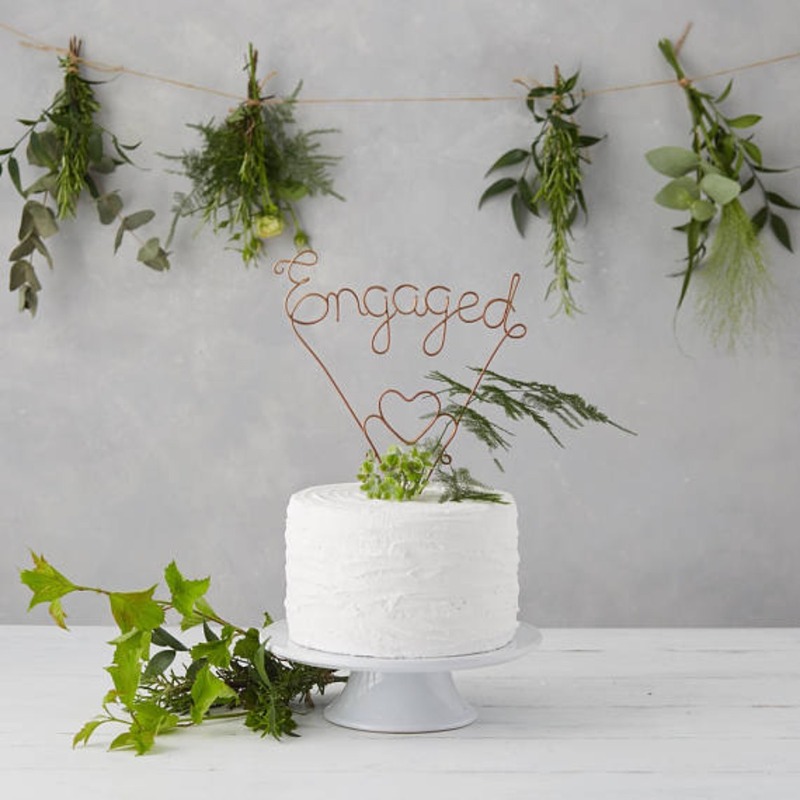 We exhausted ourselves on Etsy looking for engagement gifts, and think you’ll have a great list to reference for your upcoming e(ngagement) ragers. Everything is under $75.